Preet Bharara aka Mighty Mouse Exposed by Wonder Woman? 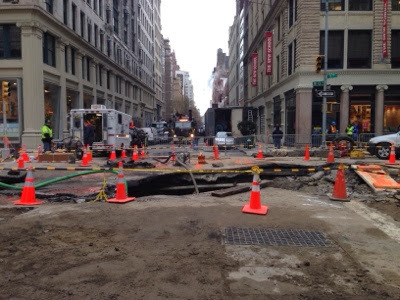 Labels: Ex-Mayor Bloomberg Amanda The Peoples' Burden New School Bomb Sized Water Main Break - it must be nice to pay people to lie to you all day telling you you are the greatest. upsetting program added to stress. was very good with us. But great compared to Dr Andrew Fagelman who did not fire Delita Hooks for repeatedly violated my patient rights and my body. Than the NYPD appearing in my opinion to be acting on behalf of MD threatened me violently over the phone if I did not drop charges so in my opinion Dr Andrew Fagelman poster boy for the worst MD in NYC with most violent woman that came out from behind desk to menace me. So traumatized she made a hole in my retina, damaged cervical spine, lied about me and 24 hours after me committed another crime filing a false cross complaint which her corrupt NYPD pals sealed in under a year to protect them and NYPD crime of coercion. Because of Dr Fagelman's poor choices I have permeant damage including a scar on my retina. Be proud at AMC you don't hire violent liars. I was told all the women in the video lied and blamed me. 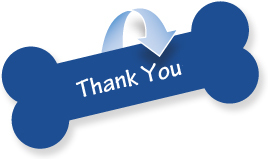 We would like to thank you for choosing The Animal Medical Center for your pet's healthcare. To help us ensure that we are providing you with the utmost service and compassionate care, your feedback would be greatly appreciated. Please respond to this e-mail for any specific comment you would like to make about your last visit at The Animal Medical Center. PLEASE NOTE: For emergent pet needs, please call 212-838- 8100. The staff at The Animal Medical Center. These communications from The Animal Medical Center are sent through Pet Health Network. Link to Nuclear Air Force Cheater you have to go down and try not to laugh when you read Deb's comment. Debbie Does the White House SAIC CityTime News Update CityTime Curse Update --- If Anyone Knows about Cheaters Debbie Does -- SAIC has 2 Debs and one Deb James does the White House so try not to laugh when she speak up about cheaters because anyone from SAIC the company with a big Deferred Prosecution Agreement hanging over it's head from CityTime Crime trial -- would know. Preet Bharara gave SAIC an Teflon Deferred Prosecution Agreement and Top officials SAIC and NYC Gov got the Teflon Gloved treatment from might mouse Preet Bharara who is suffering from the CityTime curse -- Preet now the most hated man in India and Preet won't strip search a DPA hardee har...or Mike Bloomberg who SAIC's Deb Alderson and a golden parachute 2 plum jobs but just like Mike Bloomberg and Rudy and Rudy's deputy mayors turned lobbyists NO WHITE HOUSE JOBS FOR YOU including Preet who is a one man wrecking crew for Foreign Relations India. Rose Gill Hearn in my opinion corrupt and got a kick back from Teflon Mike for protecting him and all involved including key city council members like Christine Quinn who green lighted CityTime and 911 mega tax payer dollar over - runs --- as in contractors and sub-contractors "cheating" right in all our faces...can I get a forensic audit of 311, how is Board of Election tech mess -- laughable if it wasn't tragic and 911 our lives at risk..... Great to know Obama placed a woman who can spot cheaters --- working at SAIC she has had a lot of practice? 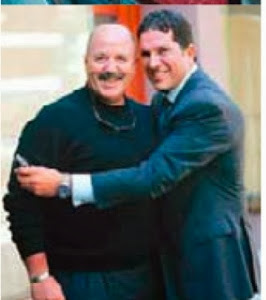 Rumor is SAIC and NYC gov workers blew the whistle on cheaters and Rose Gill Hearn and Bloomberg --- Chris Quinn did nothing....ditto on 911 and NYC gov workers blowing the whistle.... Does NYC gov have Nuclear Missiles yet hardee har har -- Ray Kelly didn't order any????? NYPD just hasd some drones in the East River?